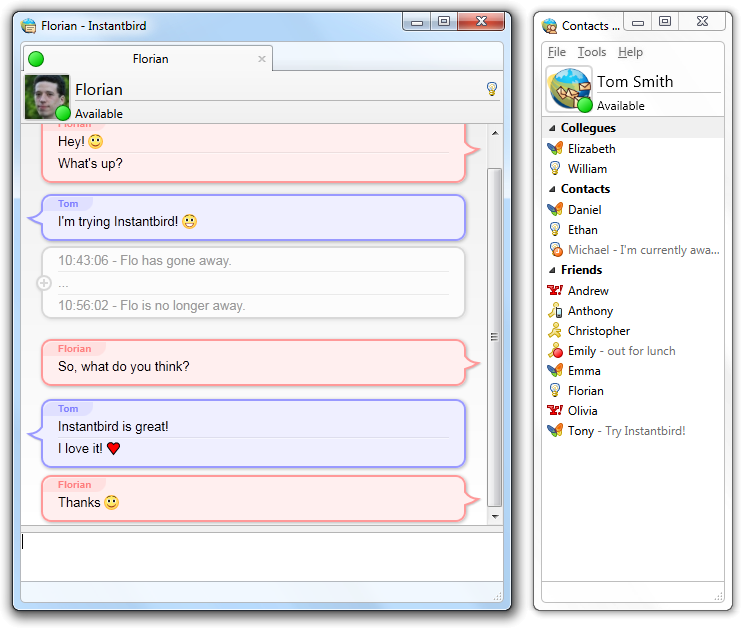 Description: It is a simple and easy to use instant messaging client with support all the major networks. The program is based on Mozilla code so it has a similar look and feel to Firefox/Thunderbird, and includes support for customization using themes and add-ons. Available networks include AOL, Yahoo, MSN, Google Talk, Twitter, Facebook, XMPP, IRC, ICQ, and more.